Single Use, Digital Video Rigid Arthroscope (2.0mm / 4.0mm) with Built-in LED Light Source for use with Two HD Video Monitor. The Neo-arthroscope Digital Video Arthroscope System consists of Single Use, Digital (Rigid) Video Arthroscope, Video Processing Module and USB 2.0 connecting cable. The Digital Arthroscope with Built-in Light Source and USB interface can be connected to two commercially available HD compatible Video monitor. The Single use, Neo-Arthroscope are available in 2.0mm w / 0 degree viewing angle and 4.0mm Outer diameter with 0, 30 and 70 degree viewing angle. 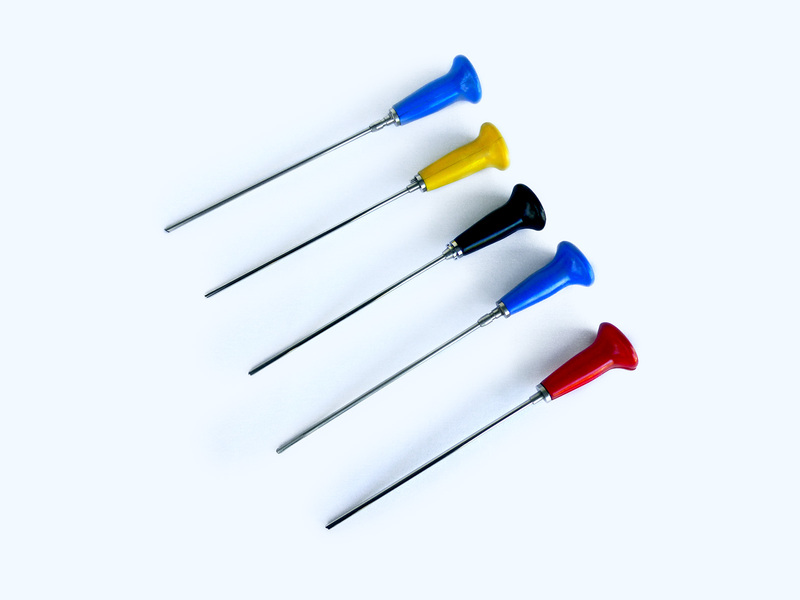 The Single use, Neo-Arthroscope are compatible with Stryker, Storz, Arthrex, Smith & Nephew and other Arthroscopes, Diagnostic and therapuetic outer cannula and instruments / accessories . The Single use, Needle Neo-Arthroscope is available in 1.8 mm w/ 0 degree viewing angle for in- office diagnostic Arthroscopy. The Needle Neo- Arthroscope is also available as an in-office Diagnostic Arthroscopy kit consisting of Trocar and 2.2 mm Outer cannula with irrigation capability or 3.2 mm Outer cannula for irrigation / injection channel. The Neo-Arthroscope is designed by incorporating the CMOS Imaging sensor ( Resolution 400 x400 pixels ) at the distal tip of the Arthroscope to acquire the video images of the target site .The bright, Micro LEDs Light source is incorporated in the handle to illuminate the target site, thus eliminating the need for large, bulky Halogen Light source. The Video Processing Module (VPU) is designed to power the Digital Arthroscope, Process / Enhance the Video signals and to provide dual HDMI video output for simultaneous viewing by Physician and Patient. The Video Processing Module (VPU) has capability of recording / storage of “ Real Time” still and video clips along with white balancing during endoscopic procedure. The Single use, Neo-Arthroscope is provided sterile to Physician. The Neo -Arthroscope ,Digital video Arthroscope provides an affordable option for physicians and patients, without incurring significant Capital Investment. The potential risk of cross contamination / infections and cleaning / Re- processing cost commonly associated with Reusable endoscopes can be minimized with use of Neo-Arthroscop Digital Video System. The Single Use, Neo-Arthroscope represent a next generation of Endoscopy. A portable Digital Video Endoscopy, which not only integrates advance technology of CMOS based imaging , LED powered lighting, video processing with Computers & Software. It is truly an affordable option for physicians and patients all over the world. 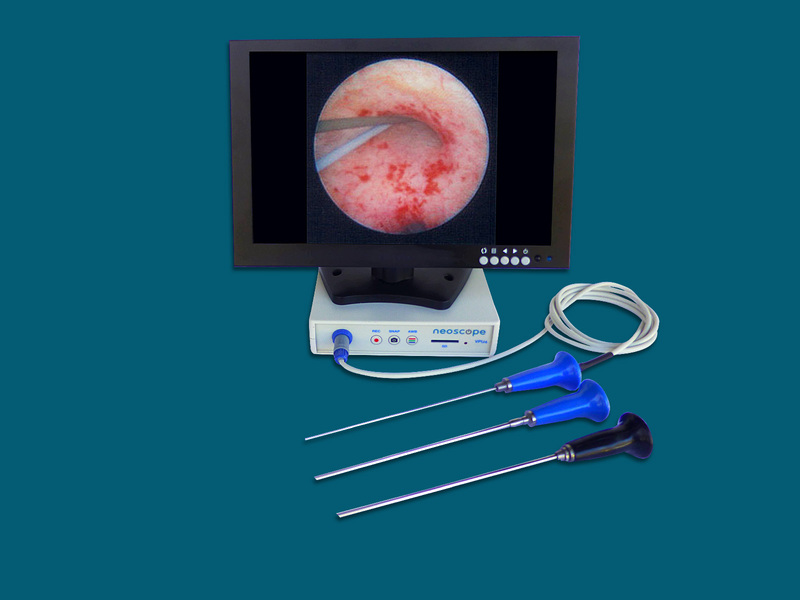 The Neo -Arthroscope Digital video System has a potential to help millions of men and women in remote area of the world, who can not afford capital intensive, Diagnostic / Therpuetic Endoscopic System based on forty year old technology of rod lens or fiber optics imaging, costing several thousands of dollars.